Turn your first grade students into little geologists and help them learn a few things about the natural world by presenting them with lessons and activities that relate to rocks. Through age appropriate hands-on and engaging activities, first graders can begin learning about Earth science. Through this activity, children gain an understanding of the different types of rocks. Teach children about the different types of rocks: igneous, sedimentary and metamorphic. Discuss the features of the different types of rocks and how the different types of rocks are formed. Provide examples of the three types of rocks to highlight the features. 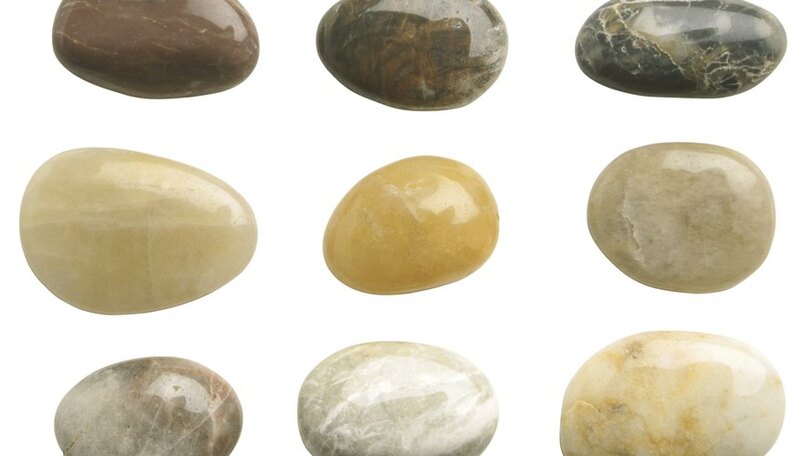 Offer students a collection of the three different types of rocks and encourage them to sort through the rocks and identify what type they are. 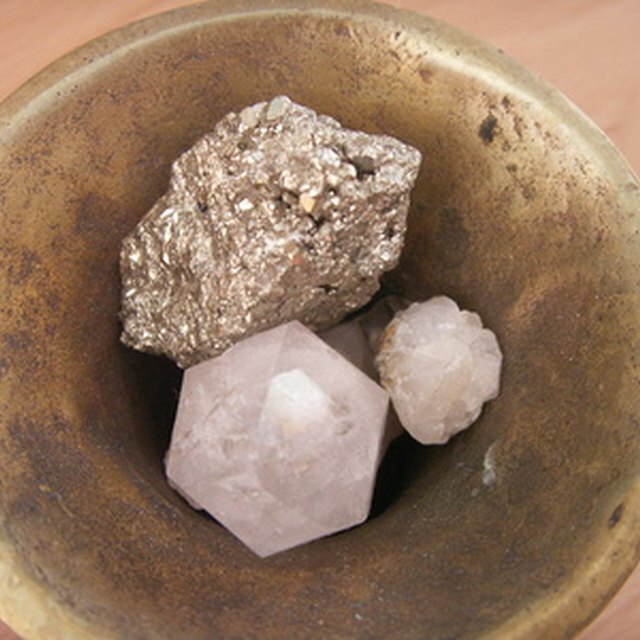 Show your students how the three different types of rocks can be found in nature. Take children on a nature walk and encourage them to hunt for the three different types of rocks. Ask children which types of rocks are easiest to find and which are more difficult. Explain to them that some rocks are easier to find in specific locations because of the way the Earth was formed; for example, igneous rocks may be easier to find in locations that are close to volcanoes, as these types of rocks are formed out of cooling magma. Discuss and have children grow their own crystals. Inform children that crystals form when the molten rock inside the Earth's core cools and hardens. Explain to children that most crystals take millions of years to create, but some rock crystals, such as salt, are quickly created. Fill a clear glass jar with boiling water; add salt to the water and stir it until it no longer dissolves. Tie a piece of string to the center of a pencil and place the pencil over the opening of the jar so that the string dangles above the salt water solution. Over the span of a few days, crystals will begin to develop on the string. Allow children to observe the salt crystals with magnifying glasses. Rocks that contain calcite dissolve when they are exposed to acidic liquids. Explain to children that this happens because calcite rocks are fairly weak and acid is a strong liquid. Provide children with samples of calcite rocks, such as limestone. Encourage them to examine the surfaces of the rocks with magnifying glasses and instruct them to draw pictures that illustrate how the rocks look. Offer them eyedroppers and lemon juice and instruct them to drip the lemon juice onto the rocks. Allow the rocks to sit with the lemon juice on top of them for a day and then invite children to observe them again with magnifying glasses and prompt them to draw new illustrations of the rocks. Compare and contrast the rocks before and after they were exposed to the lemon juice. What Factors Affect the Melting Temperature of Rock? Mae, Lily. "Rock Lessons With Activities for the First Grade." Sciencing, https://sciencing.com/rock-lessons-activities-first-grade-8701943.html. 25 April 2017.